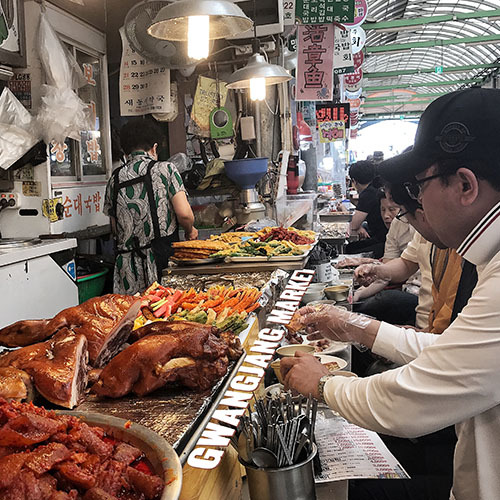 Gwangjang Market is probably one of the most famous markets in Seoul. It is one of the oldest and largest traditional markets in Seoul. I highly recommend visiting not only the Gwangjang market but also to wander through the surrounding streets.